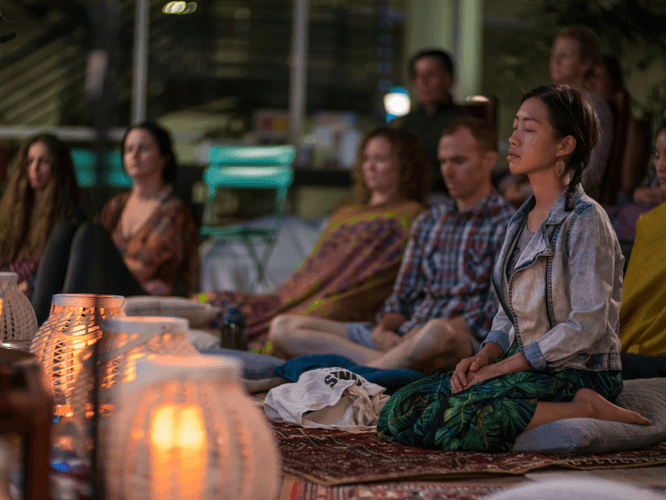 Rest & relax with this deeply restorative meditation session! Start off with calming breathing exercises, moving into introspective guided meditations and mindfulness. Enjoy the wonderful effects of yoga relaxation as you feel your stresses melt away. Discover the deeply nourishing practice of kirtan: sacred yoga mantras interwoven with beautiful music that will transport you to a place of inner peace, happiness and connection.